Food, glorious food. I love food. I love cooking and I love cooking for my family and friends and providing for them and caring for them by feeding them. This is so simple and so basic and makes me so very simply, happy. I love when they are happy with the food I prepare for them and feel such a connection. This school year I decided to make breakfast for my family every day. I have a new menu for each day of the week and the kids are starting to look forward to what’s coming. Today was pancake day and there was a sense of anticipation that I loved. 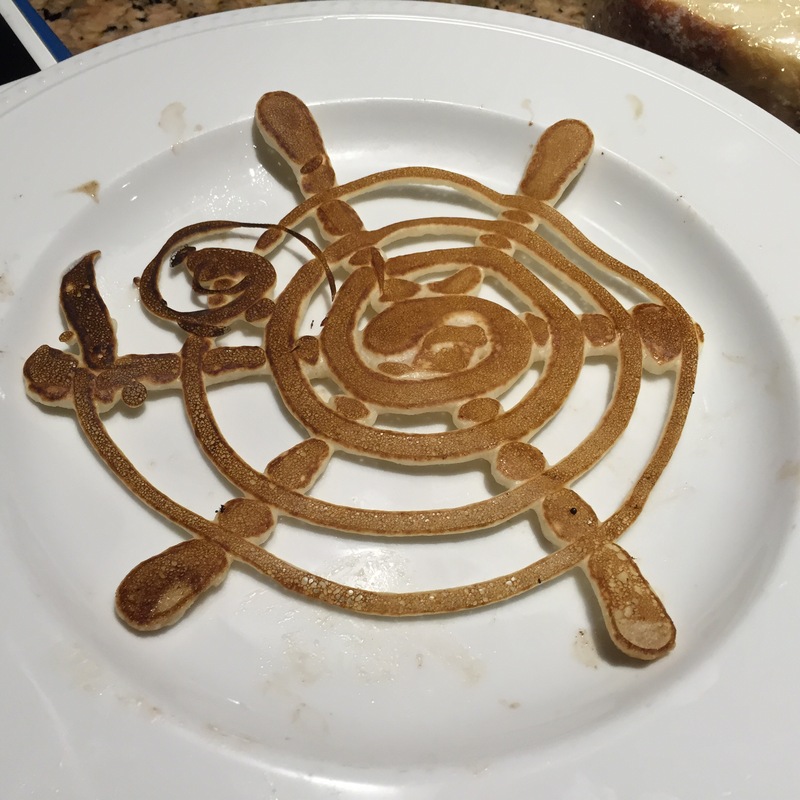 I had fun being creative, making their pancakes with designs. I loved seeing them smile and enjoy this simple touch. I just put the pancake batter into a squeeze bottle and cut the top so the hole was a little bigger to help the batter pass through without major clumping. I need to play and create more often. This was definitely a highlight of my day. 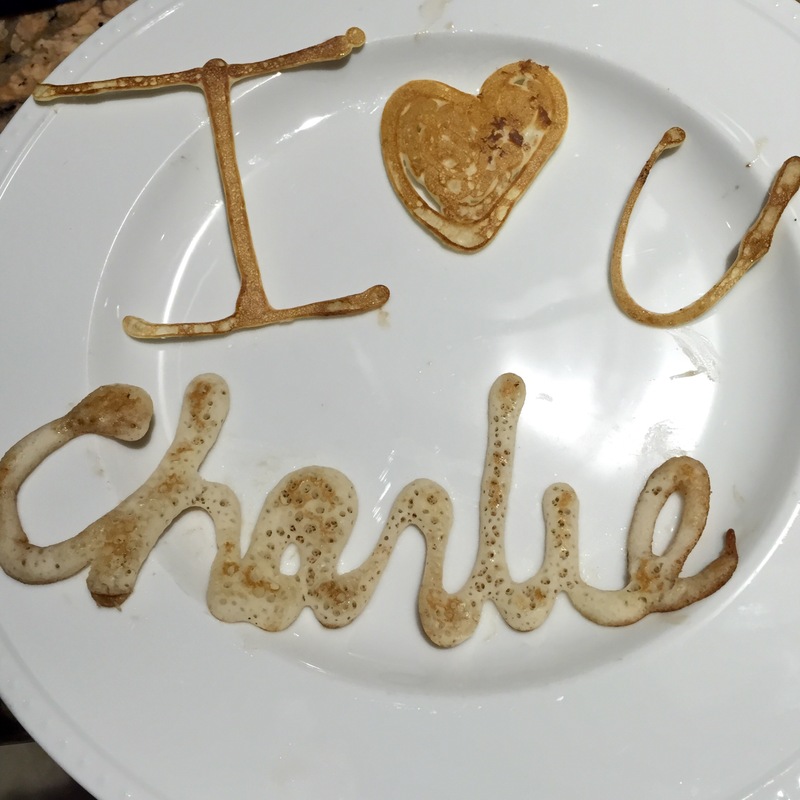 I also loved when Charlie came home from school and thanked me again for making him his favorite pancakes. I loved that he appreciated me and the effort I put into making our mornings meaningful. I make Juliana a hot lunch every day, as she eats a gluten free diet. Sometimes it is challenging to think about what to make and fill her thermos. Today I put in leftover truffled fried potatoes with brisket and bbq sauce. She texted me during her lunch break to tell me how much she loved her lunch. I know it’s silly, but these little moments of gratitude make my day. I love that she appreciates the thought and time I put into making her lunch and I loved making it. The circle is complete. And finally, I made Christian dinner to go and he was thankful he didn’t have to eat the bag of trail mix and granola bar he had prepared to eat between his events. He was happily surprised with the hot meal I prepared before picking him up from his practice. I loved seeing him enjoy the food I prepared and hearing him ask me to wait a minute before driving away so that he could savor a few bites before going again. It’s the little moments. This is what our life looks like. We’re busy and running all around, yet we still enjoy good and healthy food and I get to still take care of my babies, even if we’re not all sitting around the table at the same time. I love that food connects and binds us and that they enjoy this little touch. What are some of your food favorites? What are some of your food routines? It does my heart good that you put so much thought into preparing good food for your family as so many people just stop by a store & pick up things already prepared. I’ve always fixed a lot of soup. It was always a weekly meal. I still make it but not as often. I’ve always saved my steamed veggie water for soup base. Loved your creative pancakes. Great ideas! I love soup and sometimes forget to make it! I love the idea of saving the vegetable water for broth! Thank you. 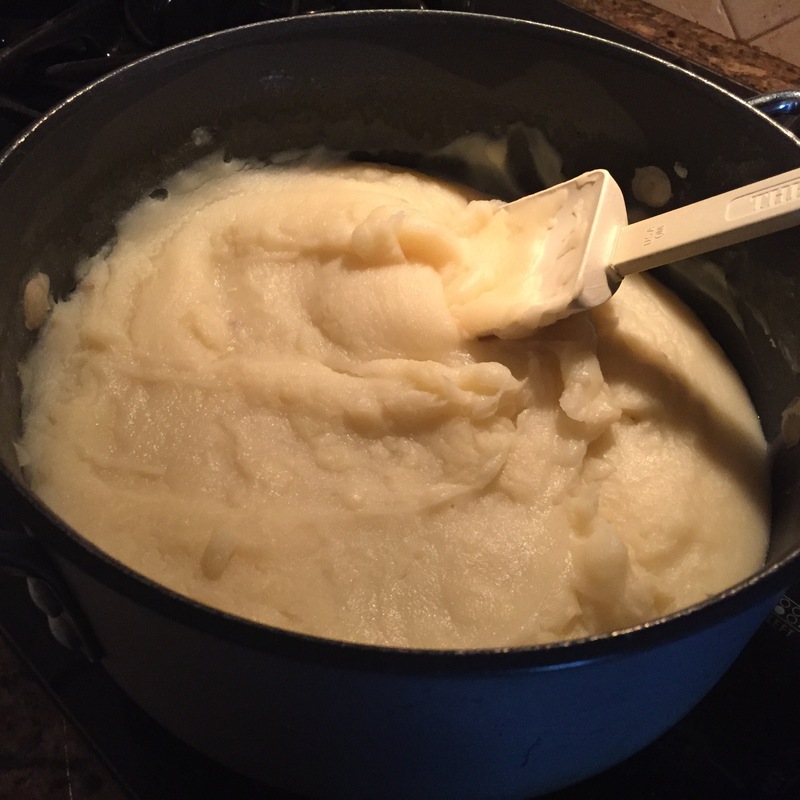 I saved the liquid from the cauliflower I cooked today and tasted it. It’s so good and I would have never thought to save it. Thank you for this great idea, Pat! I love soup too. I think I’ll add that to my weekly list of meals. Thank you for the inspiration, my friend!